This is the perfect design for anyone with a little state pride. Sometimes you love your home so much you want to show it off! 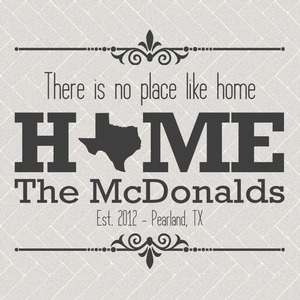 This is the perfect design for bragging about your home state. 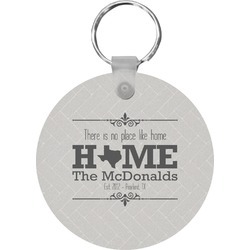 This design features a beatuiful graphic that spells out "Home" with your home state substituted for the "o". You are able to change the state to one of the 50 United States in our system. There is personalizable text above and below this with some ornate brackets on the top and bottom as well. The background is a subtle herringbone brick pattern that gives a nice homey touch. The color scheme is simply light and dark grey. This is the perfect design for home decor or a gift for a friend. In our design center you can easily customize whatever you like! Change the background, the graphic, the colors, and more. Have fun with it and create something beautiful.